A new page on the state(s) of the nation. Is Tamil superstar Rajnikant gravitating towards the BJP? Political circles in Chennai are abuzz with news that the subtext of Rajni’s next film is that he may be inclined to move closer to the Hindutva party. It was in January that BJP’s Rajya Sabha MP, Cho Ramaswamy, implored the star to form a third front as an alternative to the DMK and the AIADMK. Cho got his answer from the script of Rajnikant’s next project—Baba. The film is directed by Suresh Krissna with Manisha Koirala as the heroine. Baba might be just another masala film but it is heavily laced with politically-loaded dialogues like "I might arrive late, but I’ll be the latest". The message of Baba, according to sources, will be: politics without spiritualism can be dangerous. This is a line that the head of the Kanchi math, Shankaracharya Jayendra Saraswati, has also been reiterating. According to BJP sources, finally we may see Rajnikant moving towards their party, which in Tamil Nadu has no charismatic leader and cannot bring in the votes on its own. If the party can get the Baba on its side, it may even try going it alone in the 2004 general election. Incidentally, Rajnikant openly supported the DMK-TMC alliance in the 1996 assembly election and tacitly backed the DMK in the 1999 Lok Sabha poll. 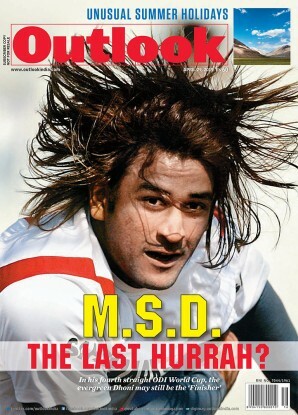 In 1996, it was Cho who set the Rajni ball rolling, although it took much dithering on the part of the superstar before he turned up at the Sun TV studios to appeal to the people to vote out Jayalalitha. Of late, Rajnikant has kept aloof from politics and even cinema. 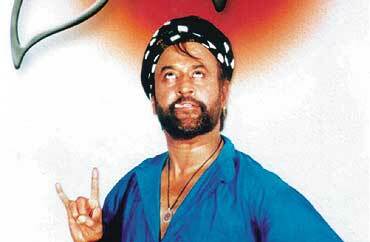 Baba is Rajni’s first film after Padayappa in 1999. The timing of his new film seems politically perfect. If released by Diwali 2002, Baba, like all Rajni films, will run for a year into the 2004 election run-up. By then, irrespective of which Dravidian party the BJP is sleeping with, there will be another serious effort to woo Rajnikant. From being Shivaji Rao Gaekwad, a bus conductor with the Karnataka Road Transport Corporation, to being projected as potential future chief minister of Tamil Nadu, Rajnikant has come a long way. And in a land where there is such give and take between cinema and politics, Rajni’s political moves make for a much-discussed topic. A macho superstar in Tamil cinema never "falls" for the heroine. It is for the heroine to do the chasing around and pining. So also in politics. Rajnikant doesn’t run behind any political party. But politicians follow his moves keenly; even beseech him.